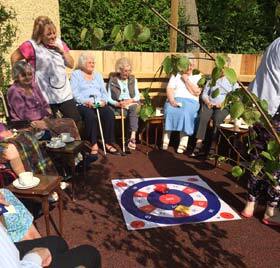 Although we respect the need for privacy, we are a care home that also offers a social life. We are aware that sometimes prior to moving in, residents may have been isolated. 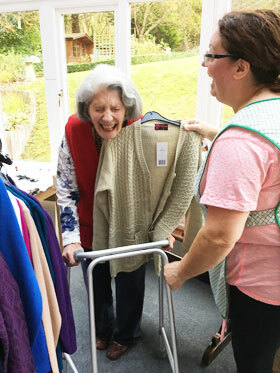 We find that quite often they enjoy a chance to socialise with others and become a valuable part of our community as well as supporting them in doing things for themselves and maximising their independence. 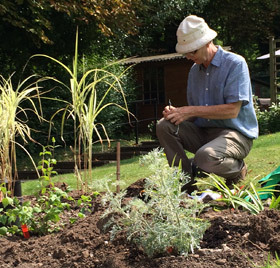 We strive to provide a variety of leisure and social activities and take into account the needs and wishes of all residents. 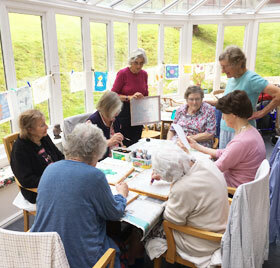 Activities that are held regularly include: A regular Exercise class, a weekly Talk, or other activity given by our much loved activities organiser, Games afternoons when we play Scrabble, Bridge or any other game a resident suggests, Seasonal Clothes sales, Musical entertainment, visits from Schools or other local groups and the Mobile Library who supply books,cds and tapes. Our exercise class is extremely popular with our residents and based on Tai Chi which has been proven to beneficial to health for both body and mind. The relaxed and gentle movements are easy to follow and can bring relaxation as well as increases stamina. The classes are able to be taken fully seated or part standing. 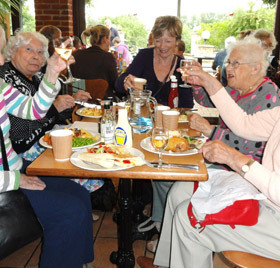 Our interdenominational Songs of Praise evenings followed by wine and nibbles are extremely popular, it gives our residents the opportunity to choose their favourite music to sing, and to get to know members of the local community who run these events for us. 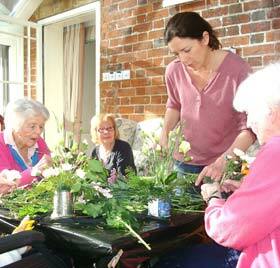 Seasonal Parties to which all residents, families and friends are invited are always popular. 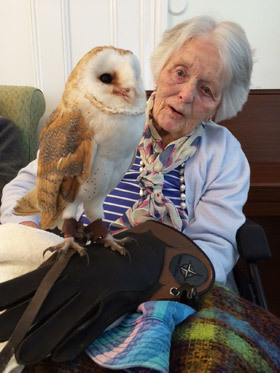 Pets as Therapy is a weekly activity to bring temporary but regular animal companionship and comfort by means of of visits from volunteers and their registered temperament-tested pets. 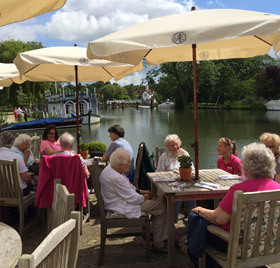 Car Transport is available to take our residents to Goring On Thames where there is a good selection of shops and amenities. 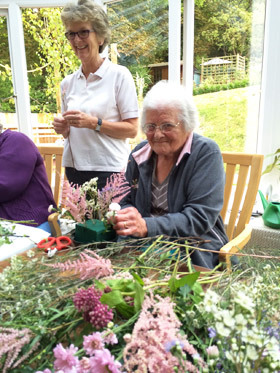 Many of our residents attend activities in Goring, transport is always available to the immediate locality and can be arranged for longer distances. 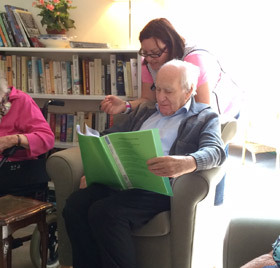 Regular formal Residents’ meetings are held and we welcome suggestions on any aspect of living in our care home. 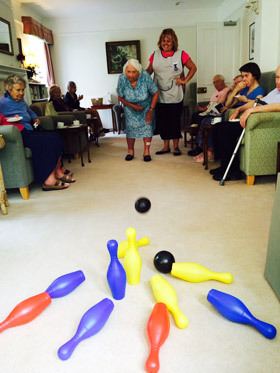 Residents views are always listened to and acted upon, suggestions often include: menus, activities, outings etc. These meetings are in addition to the informal chats we have with residents on a day to day basis. 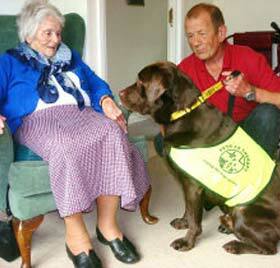 Private meetings with care staff concerning care matters and health can be arranged at anytime. Friends and families are welcome to visit when ever they wish and invited to join us for light refreshments and lunch or supper at no additional charge. ..upon our arrival, we were greeted by the distant hub of joy and laughter from within the residents’ lounge and conservatory. the hospitality and atmosphere all round was fantastic.